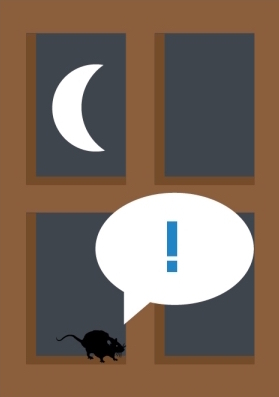 Have rats & mice invaded your home or business? Rats and Mice can destroy your property and cost you greatly. We can help make your home or business safe from serious electrical, plumbing, and woodwork damage by getting rid of these rodents. Don't let this happen again! In addition to rodent control, we also specialize in rodent proofing your home/business to keep mice and rats out for good. Rodents can squeeze through openings and spaces as small a coin and love to chew through wood and electrical wires which puts you at high risk of an electrical fire starting in your property. Call today to learn more! BE RODENT FREE, ONCE AND FOR ALL! Worried You Have a Rodent Problem? Check Out Our Helpful Video to know for sure! Still Have Questions? We're Happy to Help! Give us a call at (818) 510-0629 or send us an email at Unbugme@Hotmail.com and we'd be happy to answer any questions you may have about your potential pest problem. Identification of any/all openings or holes in the garage and housing areas, which includes cracks & crevices in doorways, wall voids, piping & ventilation openings, grate access, and breaks/tears within crawling space covers. The technician will inspect the surrounding harborage and greens area, seeing if entry to the property is accessible by trees, bushes, awnings, hedges, fencing, wiring, etc. Identifying factors for rodent infestations includes scratch marks, bites in wires/pipes, grease tracks, fowl odors, scampering sounds in attic/walls, and droppings. The size, shape and color of the droppings will determine that type of rodent and the size of the infestation. Once all factors and access points have been identified, the licensed technician will provide you with a proposal with an estimate for the cost of service & repairs to prevent future infestations. This will include trapping, proofing of the structure, or both if it is required. After proposal is approved, technicians are able to perform the service immediately. All services come with a one visit a week for 30-day control period. NOTE: Technicians are not responsible for any cleanup of infested areas within or around the property. *This free inspection is not currently offered to tenants or renters. Please contact your landlord or property manager to take advantage of this offer!